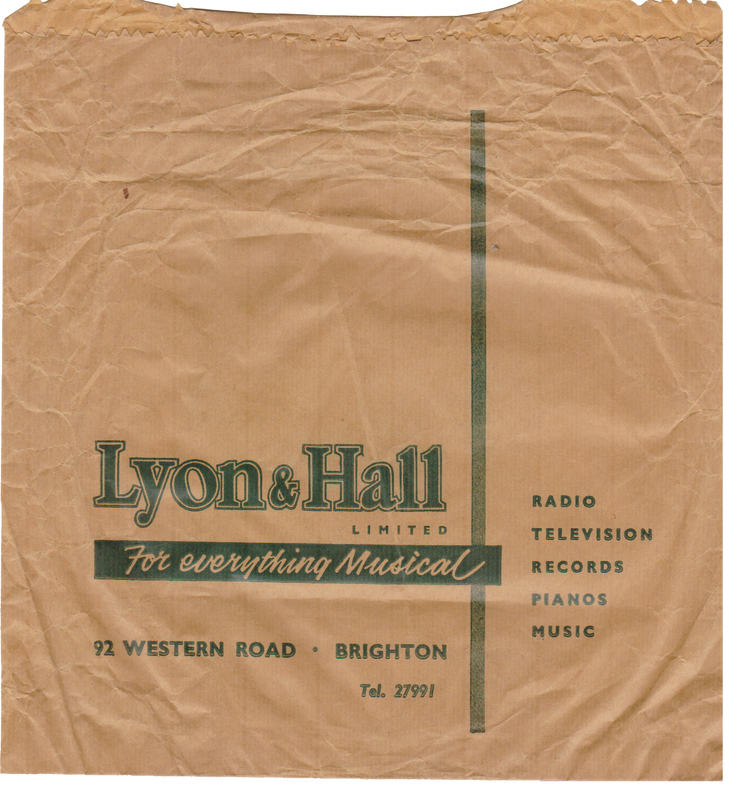 The most important record shop in Brighton was LYON & HALL, at the seaward end of East Street, which catered largely for classical music. Later it moved to Western Road in Hove, immediately facing its main rival, MURDOCH’S. This was also noted for its stock of classical music. Both also sold pianos and musical instruments. All these gramophone record shops displayed sheet music. Comment Horce Harris.